Barrie Website Design and Development - Illusive Design Inc.
For most of the companies and business proprietors, their website is the virtual tool to build connections with prospective clients or customers across the globe. In fact, it’s the very base of their business. With a professionally designed website at Illusive Design, you’ll be able to reap a lot of benefits – business credibility being just one among them. Barrie Web Design and Web Development Company, Illusive Design, provides clients full control over the configuration and administration of their websites and web applications. Our web application development team ensures a truly user-friendly system that is flexible, scalable and simple to maintain and update. Almost every flourishing business in today’s world has a well grounded website. In an age of smartphones and tablets where everybody has access to the Internet and expects to get all the required information at the fingertips, a strong online presence for your business is a must. If you keep on neglecting this aspect of your business, it’ll prove to be highly detrimental for the company as a whole. Remember, your website is a virtual shop, showcasing all your services to the visitors or prospective customers. That way, you’re providing information to your customers, which they wouldn’t possibly get if they visited the actual store. While some websites are thoroughly informational, others give customers the opportunity to buy products online. Your company’s web design is a complex field to get into. After all, it’s not something that you learn at business schools; website designing is a totally different field. 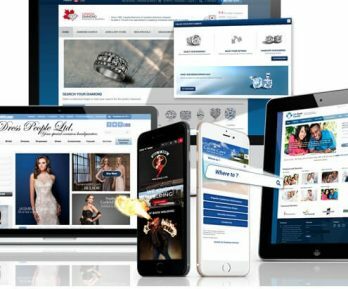 In order to get the best results out of your business’s website, consider getting it crafted by thetop professional web design company in Barrie – Illusive Design. Our team of knowledgeable and experienced web designers has the dexterity to transform your slow-moving business into a fast and successful one. So, call us now at: 416-628-5522.